It should come as no surprise that if you want to invest in a Dogtopia franchise, you must be a dog lover. In fact, prospective franchisees must be prepared to be around dogs all day, every day. Like its name implies, Dogtopia is a utopia for dogs. 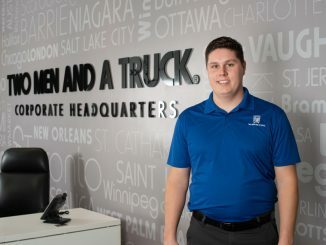 The successful franchise has more than 70 locations in cities across Canada and the United States, serving pet parents and their four-legged friends by providing daycare and boarding services. Since 2002, the unique business concept has given animal-friendly entrepreneurs the ability to tie their business aspirations in with their love of dogs, a combination that has worked out perfectly for Ann Yanagawa. 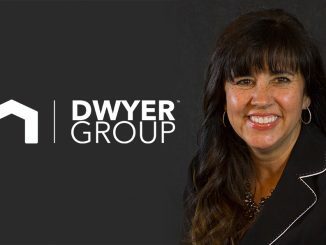 A former teacher, Yanagawa switched career paths later in life, working as a finance manager for Ford, and eventually as a business consultant. As fate would have it, her switch to the business sector is what ultimately led her to managing two Dogtopia locations today. Yanagawa has been operating the Edmonton-Downtown Dogtopia since September 2017, when Area Developer multi-unit franchisees Karyn and Nicole Decore asked her to join in on their next venture. 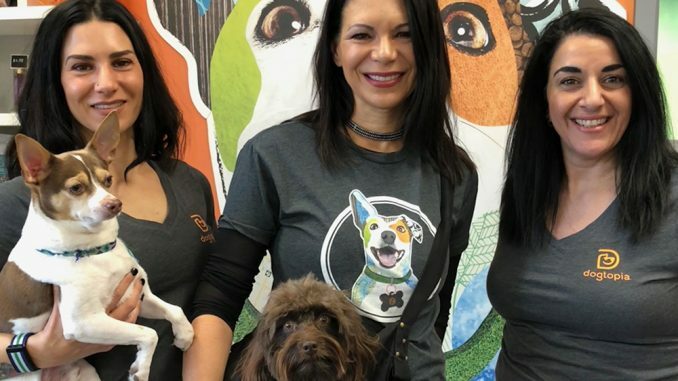 The Decore sisters purchased the Dogtopia franchise rights for Edmonton/Northern Alberta, with big plans to develop the doggie daycare in the province. With their second location opening this summer in the Edmonton International Airport, Yanagawa says she’s busier than ever, as she runs the day-to-day operations for the downtown location, while also ensuring the construction of the second location goes according to plan. Any dog owner will tell you that taking care of the high-energy pet is no easy feat. So, with a multitude of dogs being dropped off on any given day, Yanagawa says that to stay organized, days begin early and end late. 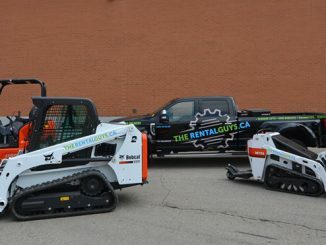 And, as each location has different opening and closing hours to accommodate customers’ needs – the airport location will be open 24/7, while the downtown shop follows typical business hours – downtime can be hard to come by. A typical day at her downtown site begins at 6:30 in the morning, when Yanagawa’s team will greet the overnight boarding dogs, let them out of their crates – or suites, as they’re called – feed them, and let them play to burn off some of their energy. When the doors officially open at 7:00, the team can expect to welcome more than 50 pet parents who are dropping off their dogs on their way to work for a great day of doggie daycare. Throughout the day, Yanagawa and her team are responsible for monitoring the dogs in the supervised open play area; feeding them breakfast, lunch, and dinner as required by their individual routine; administering medications; and helping them into their private doggie dens for mid-day naptime. The Dogtopia franchise also provides training, dental hygiene services, and grooming that ranges from baths and brush-outs to ear cleaning, teeth cleaning, and nail trims. While her days at the Edmonton-Downtown location are fairly structured, the same can’t be said for the soon-to-open airport site. With arrival and departure flights from early morning to late at night, this new Dogtopia accommodates numerous schedules, which means the team can expect dogs to be brought in and picked up at any time. When Yanagawa isn’t working in the business, she’s working on the business. Behind the scenes, the dog lover speaks with the public and educates them on the benefits of Dogtopia, stays active on Twitter and Instagram, and sets up weekly Facebook advertisements to reach potential new clients. Despite her interchangeable schedule, Yanagawa says that when it comes to managing a Dogtopia franchise, there’s only one thing that truly matters. Though she’s only been working with Dogtopia for less than a year, Yanagawa says she’s noticed a difference in her work responsibilities compared to when she first started. The shift in roles can be credited in large part to her booming business. And although Yanagawa says spending her days with so many dogs is the highlight of working with the Dogtopia franchise, it’s also one of the challenges. Every Dogtopia dog first goes through a ‘Meet and Greet’ where up-to-date vaccines are confirmed, and a thorough personality assessment occurs. During the ‘Meet and Greet,’ Dogtopia’s trained Canine Coaches will slowly introduce new dogs to the existing dogs to see how they socialize. The process allows the operations team to see how potential new dogs interact with others, and helps determine whether they’re ready for daycare. Additionally, it lets pet parents know how their dog is progressing in the new environment. For the most part, Yanagawa hasn’t had too much trouble integrating the dogs. If anything, they look forward to spending the day with their newfound Best Furry Friends Forever (BFFFs). Karyn Decore adds that when she and her sister were first evaluating the franchise, they would stand inside the entrance of the several existing Dogtopia stores they visited and watched the dogs coming to Dogtopia. Each time, they saw the dog lead the owner into Dogtopia, which is when they knew Dogtopia was a winner. As the Dogtopia Edmonton empire expands, so does the need for more staff. Yanagawa has spent the last several months conducting interviews to ensure her new airport hires are the right people for the job. “Karyn and Nicole Decore have put a lot of trust in me to operate and grow this business, and I work like a dog to make sure I don’t let them down!” says Yanagawa with a laugh. Like any small business, Dogtopia franchisees are responsible for hiring staff, while the Dogtopia Support Office prioritizes management training on the specifics of working within the franchise. Online training courses are tailored for both employees and franchisees, with topics ranging from the varying breeds of dogs to how to properly interact with diverse personalities. On-boarding franchisees must also shadow existing franchisees before they open their own shop. Despite these educational perks, there are some things that no amount of training can teach you when it comes to investing in a Dogtopia franchise.